Bookings are essential and need to be made at the entrance building prior to the scheduled time. All photos are weather dependent, so please phone the day you wish to visit so we can ensure the photos are running that day. We allow up to four people per photo. There are limited spaces throughout the day due to the animals welfare. Photos will be ready within 60 minutes of having the experience and can be collected from the staff at the entrance building. At least one paying adult must accompany children at all times. Participants must meet at the arranged meeting point five minutes prior to scheduled time. Participants must agree to follow the instructions of the handlers/photographer at all time. Conditions apply on children holding the animals (Snake and Wombat). Please Note: experiences can be cancelled at short notice for a number of reasons. To avoid disappointment please call before arrival to ensure they are running. While visiting the Park, why not take the time to get up close and personal with one of our Koalas. During a Koala experience you may pat the Koala, and get nice and close. However, due to Victorian Laws you are unable to hold or carry the Koala. If temperatures are 34+ degrees photos may be cancelled or re-scheduled, as we cannot be handling the Koalas at such high temperatures. The scheduled times for the koala experience is at 11:30am & 1:30pm. 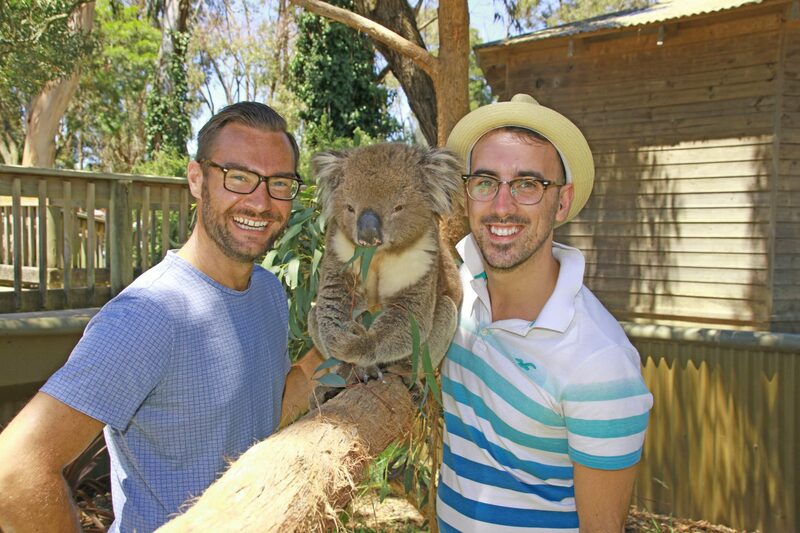 Koala experiences are $40.00 and extra copies of your photo are available for $10.00. While visiting the Park why not take the time to meet and cuddle one of friendly wombats. The wombat experience allows you to carry the wombat while getting your picture taken. Only one person is allowed to hold the wombat per photo. The scheduled time for Wombat experiences is at 3:30pm. Wombat experiences are $40.00 and extra copies of your photo are available for $10.00. While visiting the Park, why not take the opportunity to have a photo taken of you with a Snake around your shoulders. The experiences are often taken with Pablo our Boa Constrictor, or, Moss our Coastal Carpet Python. During the winter Snake photos can be cancelled, as we do not bring the Snakes out in the cold. The scheduled time for the snake experience is at 2.30pm. Snake experiences are $30.00 and extra copies of your photo are available for $10.00. While visiting the Park, why not take the time to have your picture taken with Hugo the Giant Tortoise who is over eighty years old! During winter the tortoise experience can be canceled due to the colder weather. The scheduled time for the Tortoise experience is 2pm. Giant Tortoise experiences are $30.00 and extra copies of your photo are available for $10.00. While visiting the Park, why not take the time to feed Xena the Southern Cassowary. Enquire upon arrival about getting up close and personal with this amazing bird!